Healthy Home Inspections was established in the fall of 2005 and is owned and operated by Paul Bukeavich. Healthy Home Inspections is an independent inspection company committed to excellence in the home inspection field. Serving northeastern PA: in Luzerne, Lackawanna, Wayne, Bradford, Sullivan, Columbia, Pike, Monroe, Carbon, and Wyoming counties. Committed to be your life long home building consultant. 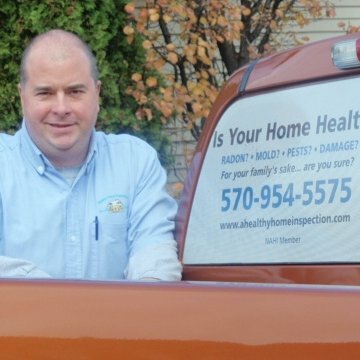 Healthy Home Inspections is in full compliance with PA-Act 114 (PA Home Inspector Law) fulfilling all requirements of experience, education, and insurance.